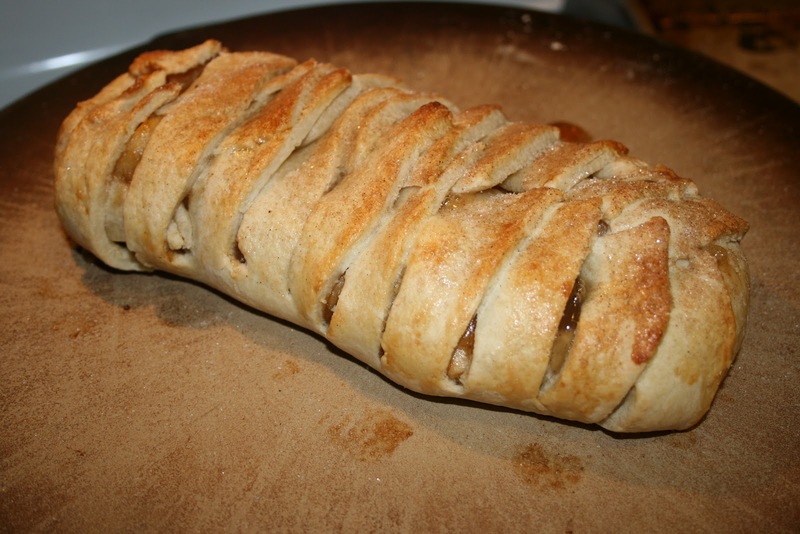 I am thrilled to announce the beginning of The 2012 Book Blogger's Cookbook. If you are a blogger, author, foodie, or bookie who would like to be involved with a fantastic project, welcome! Would you join with me as I launch the second edition of The Book Blogger’s Cookbook? I am trying to reach readers who love books and cooking, and who want to find reliable book bloggers to navigate the ever-increasing stacks of ebooks. The 2011 Book Blogger’s Cookbook is receiving great reviews and has a 4.5 star rating on Amazon. Reviewers and readers love the mix of tasty reads and adventurous eats that are included in the cookbook. This year’s edition features more books, more bloggers and an introduction from New York Time’s Bestselling author, David Farland. His fantastic YA novel, Nightingale, will be included in the cookbook. (For a sneak peak at the books and authors that will be included in this year's cookbook, take a look at the form below). Fill out the form below if you would like to be included in The 2012 Book Blogger's Cookbook, review the cookbook, or be involved with the book launch. If you would rather just send me an email, feel free to do so. Please help me get the world out to fellow bloggers about this chance to reach out to readers. Harry Windover adores blonde, green-eyes Athena Lancaster, but alas, a penniless man like himself has no hope of winning a young noblewoman's hand. To add insult to injury, Athena's brother-in-law and guardian, the Duke of Kielder, has asked Harry to assist Athena in finding a gentleman of her dreams. But the lovesick Harry is cunning as well: as the weeks pass, he introduces Athena to suitors who are horrifically boring, alarmingly attached to their mothers, downright rude, astoundingly self-absorbed, and utterly ridiculous. Athena can't comprehend why she is having so little success meeting eligible and acceptable gentlemen. Indeed, her circle of admirers couldn't be less admirable - nothing like the loyal, gentle friend she's found in Harry. But how long can Harry's scheme be hidden before it is discovered? And what will Athena do when she uncovers Harry's deception? Escape into a charming regency world in this delightfully romantic comedy of manners that will entertain you to the very last word. If you thought regency romance to be stuffy and boring, think again. Funny, romantic and delightful, Courting Miss Lancaster will have you snorting your afternoon tea through your nose. I met Sarah at the LDSStorymaker's Conference last year and not only is she cute and funny, she's even shorter than I am and she's a great writer. 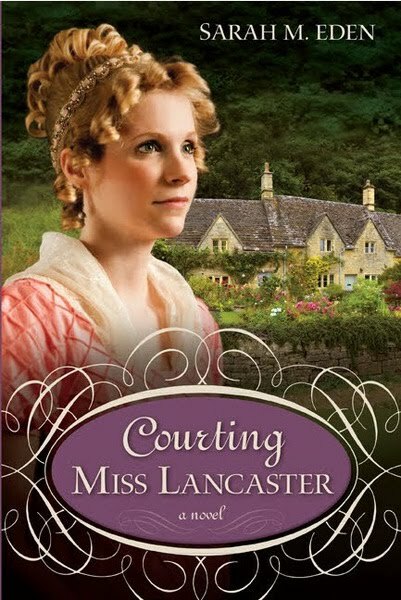 I realize that Courting Miss Lancaster is the second in a series of related books, but it is the first of Sarah's books that I have read and because of that, it's the first to be reviewed. It took me awhile to get used to the jargon and way of speaking of a regency romance. Most of the books I read tend to be contemporary and I had to switch gears. I love Anne of Green Gables and as soon as I imagined Anne as a neighbor to Athena, I settled right in. Who can resist thwarted love? Athena and Harry are meant to be together. Athena so desperately wants to be courted by a man who loves her, even if she does have unrealistic expectations of how that man will come into her life. Harry is in love with Athena but has resigned himself to the fact that if he cannot have Athena (his advances would be seen as fortune hunting), at least he can see to it that she marries well. London in the 1800's is peculiar, especially compared to the dating and marriage customs we follow today. I loved getting to know the time period better. I have heard Sarah say that she is very particular about her research for a time period and it shows in her novel. The period style mannerisms, clothing, and colloquialisms perfectly seasoned the story, never dousing it in boring detail. Courting Miss Lancaster can be read out of sequence in the series. The books are companion books and even though I haven't read the first book, Seeking Persephone, I didn't feel lost or left out. The story was a bit predictable, but sometimes that is nice and reliable--like how you know that when you get done putting the kids to bed there's a nice piece of dark (violet) chocolate waiting for you in the pantry. 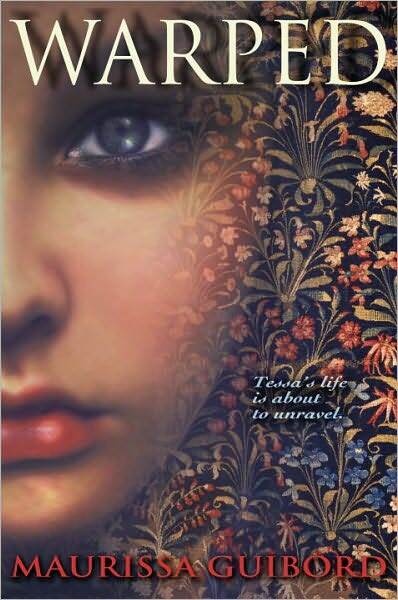 I like the idea of lives being woven into a tapestry and unicorns are always intriguing. But a guy being a unicorn? I'm not so sure. Tessa's voice is unique and I like her character. She is a refreshing modern contrast to William de Chaucey's old fashioned tales. Somehow I didn't believe the romance between Tessa and William. For starteers, I never did get a feel for William and as a reader, I have to be a little in love with the hero to be glad for the heroine to fall in love with him. I would like to have seen a show-down with the Norn and also see Tessa show some signs of the paranormal strength that is hinted at but not played on. I wanted to see more of what happened as a result of the Norn fates and the evil Grey Lily tampering with the tapestry threads. Just changing her father's health and friend's loyalty weren't enough for me. The idea that Tessa and WIlliam's threads are tied together and that they keep weaving around each other through the ages. I wanted more of that idea. Bottom line - a handful of intriguing ideas but the story fell short of my expectations--I wanted more. I have no major qualms about the writing or content. It's a clean read with no swearing and one borderline romance scene. Danyelle Leafty is donating the royalties from her book Catspell to purchase Kindles for children in a hospital in Utah. It's such a worthy cause! If you are a reader you can download her book and the proceeds will help kids in need. 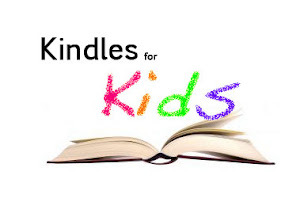 If you are an author, you can contribute a short fairy story for an anthology that Danyelle is loading onto the Kindles she purchases. Go to Danyelle's blog for more information. I purchased Catspell and you can too! The Writing and Illustrating for Young Readers conference will be held June 18-22. I have not attended the conference but I have heard from many fellow writers how beneficial it has been to them or that they found their agent there. You can choose to attend morning workshops and afternoon sessions, or both. There will be workshops and classes, book signings and more. There is also an awesome contest/scholarship. You won't want to miss it! Go to the Writing and Illustrating for Young Readers blog to find out more.